Unlike other parts of the country, southern California eases into winter with shorter days and chilly temperatures, inspiring plenty of comments from outsiders that the sunny state completely misses out on the season altogether. 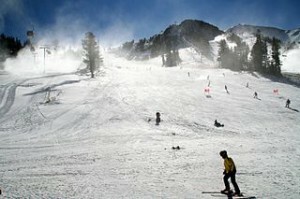 But California is a diverse state and there is something for everyone, even when it comes to enjoying traditional winter activities. Hit the Slopes – One of the biggest perks of living in southern California is easy access to local mountains that offer plenty of snow-filled activities. After a day of skiing and snowboarding, there’s something refreshing about returning to warmer temperatures near the beach. Holiday Boat Parades – Beach communities up and down the coast host various holiday boat parades, featuring festive lights and creative decorations. From San Diego to Newport Beach to Marina Del Rey, these brilliantly-lit boats float by in the night for a uniquely Californian experience. Outdoor Ice Skating – There may not be snow on the ground, but ice skating rinks pop up across the Los Angeles and Orange County areas. Gliding along the ice in 80-degree weather brings the best of both worlds together. The Happiest Place on Earth – Disneyland takes care of any holiday nostalgia Californians may need during November and December. The festive decorations and winter-themed attractions offer more than enough seasonal fun in the heart of Orange County. Christmas Carolers – Los Angeles may not seem like the place for caroling, but several concert venues across the city feature the best of the best in carolers. The Walt Disney Concert Hall, in particular, hosts several holiday concerts through the end of the year. The weather may be mild, but legal team at the Law Firm of Joseph H. Low IV hopes you enjoy all that southern California has to offer during the winter season.